A brand new rainbow crosswalk in White Rock celebrating the LGBTQ community was vandalized just two weeks after its unveiling. According to the City of White Rock, officials with the municipal government were notified overnight by White Rock RCMP of an apparent act of vandalism at the crosswalk located at the intersection of the Five Corners neighbourhood. It is believed the vandalism, involving splatters of white paint, occurred at approximately 12:15 am this morning, but crews were quick with the removal. By 6 am, municipal staff were at the crosswalk with a pressure washer to remove the paint. As of late this morning, the crosswalk was fully repaired. The crosswalk was first unveiled on Saturday, July 21. 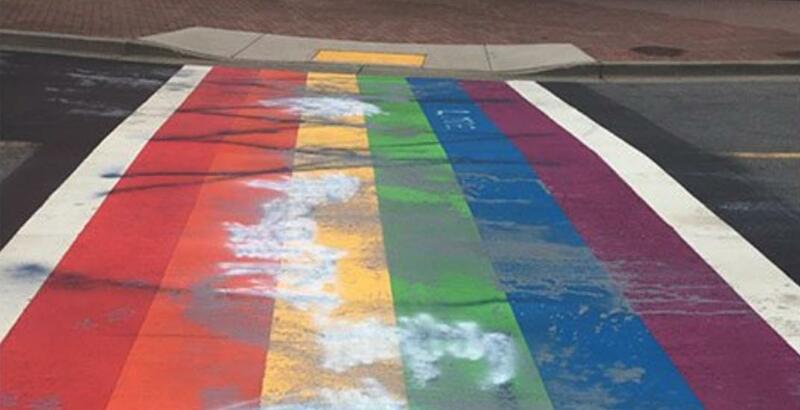 “The city is disappointed that such an act has occurred as the message of the rainbow crosswalk is to cultivate kindness, respect, and inclusion,” said the City in a statement. RCMP are investigating the incident. Anyone who witnessed the incident or has information to share is asked to call the detachment at 778-593-3600. 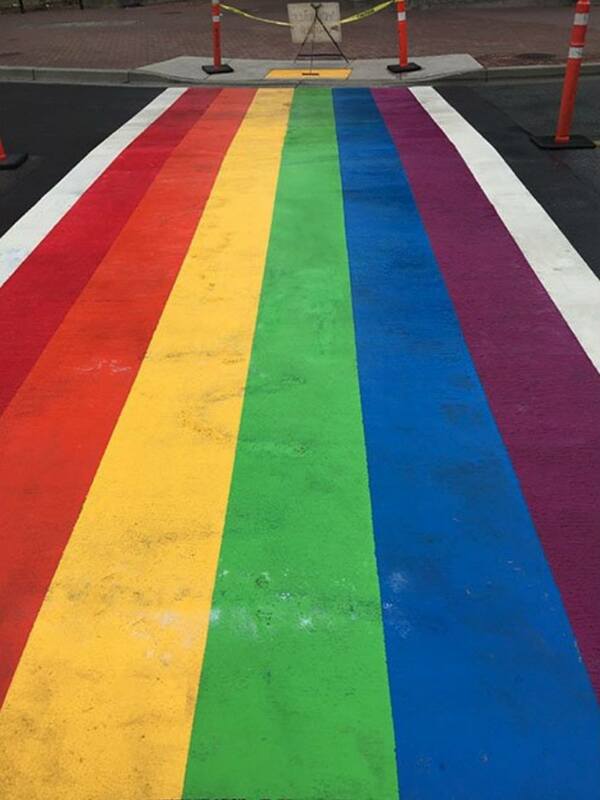 Earlier this summer, a new rainbow crosswalk painted in Surrey near Holland Park was also vandalized with white paint within days of its completion.